Just because you are busy doesn't mean you should neglect treating your body to a wonderful day at the spa. Spend a day in luxury as you experience a treatment like a seaweed wrap, a mud bath, a facial, or a full body massage. Relax in our alpine setting, revel in our Aqua Sanitas water sanctuary, lounge by the heated pool or soak in our hot tubs under a mountain waterfall. Located within the Vail Cascade resort - members and guests are treated to a variety of signature treatments. Childcare available during treatment. The only independently-owned spa in Vail. We offer a complete menu of unique spa treatments using all natural Colorado products. Blissfull treatments for men & women inspired by nature. Reserve your treatment in advance and look forward to relaxing, rejuvenating & invigorating. 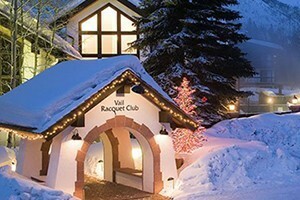 Luxuriously relaxing treatments available in Beaver Creek and Vail OR we'll come to your room or condo. Ask about our massage & spa special. Yoga, Pilates & exercise classes. Check the calendar for daily class schedule.